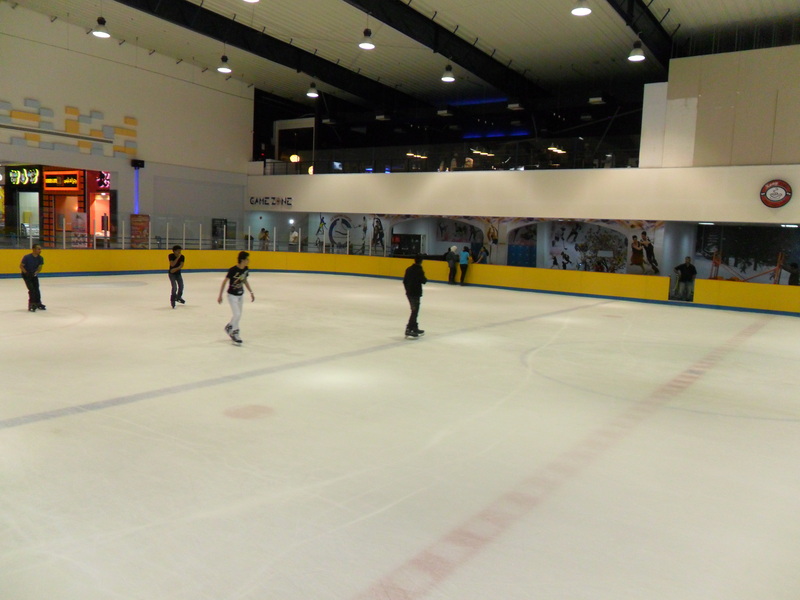 I was pleased to realised when I came to Oman that the man can skate on ice here in hot sand country.I am not particularly very advanced in skating but I find it cool to go to indoor rink to do some typical winter activity-especially when the outside temperature reach nearly 50C. The ice rink is situated in Qurm, just beside Qurm park, exactly next to the Equastrian centre on the left side on the direction to the beach. You can rent skates too if don’t have your own. I was surprised how busy it’s during weekends, omani kids are very skilled,I was ashamed to be skating doing some comical movements compared to highly skilled youths. There’s even ice hockey team called Wadi Dogs, they train here regularly during the weekends. 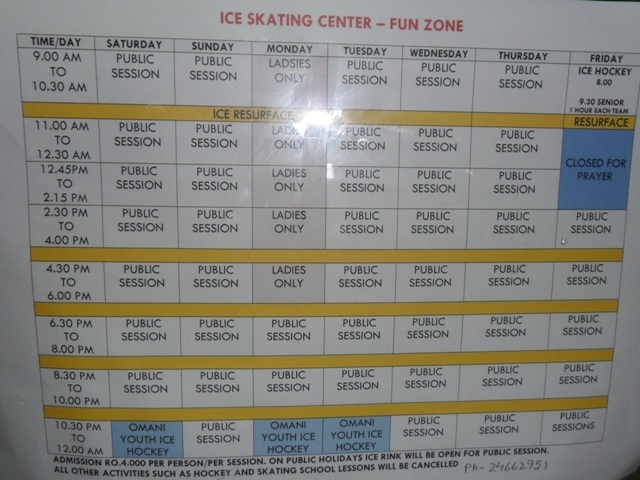 This entry was posted in Muscat and tagged ice hockey, ice rink, ice skating. Bookmark the permalink. To a Canadian and an American, both huge hockey fans,this is awesome !! Crazy how you can skate but once we arrive in Malaysia, we will not be able to !! Thanks Jim.Are you hockey player?